Gas and its many types are used for so many different things. We use the gas oxygen to breathe while plants need carbon dioxide. Gases are found in the steam let off from cooking or in carbonated drinks. Many different scientists have studied gases and have come up with many different laws about how they work and its properties. There are both real gases and ideal gases. Gases can be compressed, and unlike liquids and solids, they spread out until they have completely filled the container in which they are cointained in. The three unique properties of gases are that they can be compressed, they take up more space than liquids or solids do, and they will also expand and spread apart until they have filled their containers. When measuring compressibility, you are measuring how much the volume of gas decreases under pressure. Solids and liquids aren’t able to be compressed as easily as gases are. Kinetic theory explains that the reason gases are so easily compressed is because of the open space between the particles in a gas. The distance between these particles is a lot bigger than the distance between liquid particles or solid particles. The reason a gas can compress under pressure is because there is room for the particles to be pushed or forced together. Compared to the density and viscosity of solid and liquids, gas’s density and viscosity are low. Gases also diffuse so that they can spread throughout their container. There are many different ways that knowing about gases and how they work can help our lives. Some different things that require this knowledge is hot air balloons, scuba diving, tires, weather balloons, and space ships. You can even use this knowledge when dealing with cooking speed. 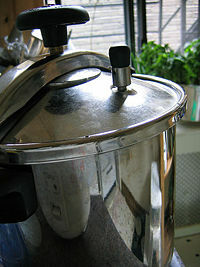 When you cook food in a pressure cooker, you are applying Gay-Lussac’s law about the pressure and temperature of gases. There are so many other things that we as humans use gases for. An obvious one we use it for is breathing – we need Oxygen to be able to live. Oxygen is also required for fires, candles, and stoves to burn and is also used in space rockets. Carbon Dioxide is also a very important gas that is necessary on our planet. Without it, the plants would die and wouldn’t be able to produce Oxygen for us. Carbon Dioxide is what gives drinks like coke and sparkling apple cider that produces the fizz we all love. Another commonly used gas is Helium and it is used to fill up balloons. 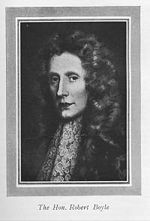 Robert Boyle first proposed his law on gas in 1662. What he came up with was when a gas’s given mass is at a constant temperature, the gas’s volume will vary inversely with the pressure. So, when the temperature is constant, if the pressure of the gas increases, then as a result, the volume will decrease. If the pressure decreases, then the volume of the gas will then increase. This law was actually discovered by two of his close friends, Henry Power and Richard Towneley. These two friends were amateur scientists who brought their discovery to Boyle who then confirmed it by doing labs and then published the law. 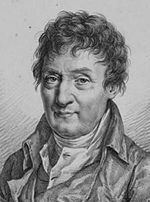 Jacques Charles, a French physicist, was the one who came up with the law stating that when the pressure is constant, a fixed gas’s mass is directly proportional to its Kelvin temperature. He came up with this law in 1787 while he was studying what the effects of temperature were on the volume of a gas kept at a constant pressure. In 1802, a French chemist named Joseph Gay-Lussac found the relationship between the pressure of a gas and the temperature of a gas. What he discovered was that when the temperature of an enclosed gas increases, then the pressure will also increase (volume must be constant). 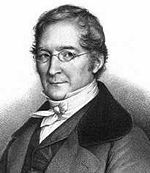 Joseph Gay-Lussac found this law in 1809, and by doing this, not only did he contribute in the development of modern gas stoichiometry, but he made it possible for Avogadro to use this law to come up with Avogadro’s hypothesis in 1811. The Combined Gas Law is a law that combines Gay-Lussac’s, Boyle’s, and Charles’s laws into one expression. It lets you calculate for different situations in which the only thing that is constant is the amount of gas. What it does is describe the relationship between the temperature, pressure, and volume of a gas that is enclosed. 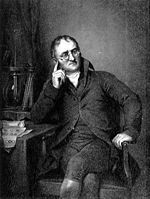 In 1801, John Dalton found while looking at a mixture of gases, that the sum of the partial pressure of gases is the total pressure, while the temperature and volume is kept constant. The result of particles in a gas colliding with an object is the gas pressure. 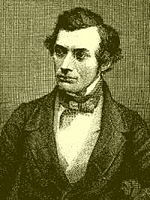 During the 1840’s, the Scottish Chemist Thomas Graham studied the rates of effusion and came up with his law of effusion. What he proposed was that a gas’s rate of effusion is inversely proportional to the gas’s molar mass’s square root. Not only did he find that out, but also that this law also works with the diffusion of gases. Effusion is when a gas escapes through a hole from the container it is kept in. Molecules have a tendency to move to areas that have a lower concentration. They do this until the concentration is uniform all over. This tendency is called Diffusion. The lower the gas’s molar mass is, the faster they will effuse or diffuse, while the higher the molar mass is, the slower it will effuse or diffuse. An ideal gas is just a simpler version of a real gas with the difference being that the compressibility factor z is already set to 1. This way, everything, An ideal gas would have to follow every gas law at every pressure and temperature condition. This is impossible and because of it, Ideal Gases do not exist since its particles wouldn't have any volume and there wouldn't be any attraction between the gas and the gas's particles. Wilbraham, Antony C., Dennis D. Staley, Michael S. Matta, and Edward L. Waterman. Chemistry. Boston: Pearson Education Inc., 2008. 413-436. This page was last modified on 7 July 2013, at 12:26.